Fancy diamonds are sometimes spoken of with disdain, generally by those who do not realize that there is such a thing as a naturally colored diamond. There is a good reason that not everybody is aware of this, however, and that is that colored diamonds in nature are considerably rarer than colorless diamonds. In fact, only about one out of every 10,000 diamonds has any natural coloration at all (beyond the slight yellowish or brownish tinge which makes many “colorless” diamonds worth less on the market). Carat refers to the weight of a diamond, cut to the way the diamond has been shaped and faceted to bring out its inner sparkle, and clarity to the presence or absence of inclusions (the fewer inclusions the better). Usually, when you are shopping for a colorless diamond, the less color you see, the better. But the exact opposite is true if you are shopping for a fancy diamond. The intensity of the color is probably the most important aspect when you are considering value, at least where natural fancy diamonds are concerned. Rich, vivid hues in natural diamonds are exceedingly rare. A vividly colored natural diamond may be worth far more than a perfect colorless specimen for that reason! What is the Difference Between a Fancy Diamonds and Colored Diamonds? Diamond graders typically use the scale established by the Gemological Institute of America (GIA) to rate the color intensity of a fancy diamond. At the bottom of the scale is “faint.” In order, fancy diamonds progress upward through the scale as follows: very light, light, fancy light, fancy, fancy intense, fancy vivid, and fancy deep. Fancy deep diamonds are of course considered the most desirable, and they will generally be the most expensive, particularly if they are natural. As you might have figured out, diamonds that are not vivid enough to at least be classified as “fancy” on this scale generally are not considered fancy diamonds. They are colored, but may not be considered particularly desirable. In fact, yellow and brown diamonds that are not classified as “fancy” or higher on this scale are often modified to try and whiten them, as this will increase their value. When you are shopping for fancy diamonds, it is important to know what you are getting, since obviously a lab-colored specimen has a far lower value than a natural one. The price you pay should be likewise. This method can be used to modify the color of a diamond. There are actually multiple irradiation techniques, but many of them are now defunct because they did not do a good job coloring the diamond through and through. The most common irradiation techniques used today are neutron and electron bombardment. These can produce fancy diamonds that are blue, blue-green, green, orange, yellow, brown, or pink. While irradiation is practiced as a lab technique for artificially modifying diamond color, it should be noted that some diamonds are irradiated naturally. One excellent example is the famous Dresden Green Diamond. This 41-carat diamond most likely was extracted from the Kollur mine in India. What is amazing about this diamond is the fact that it was exposed to radioactive materials in nature. These materials irradiated the diamond so that it turned a bright grass-green color. The diamond has been studied by researchers, who hope that one day it will help them to devise a reliable test to tell naturally irradiated diamonds from lab-irradiated diamonds. During Georgian and Victorian times, it was popular for jewelers to attach colored tinfoil to the backs of diamonds to create the illusion of color. These were some of the earliest diamond coatings. It can be surprisingly tricky to detect this trick in pieces with closed-back settings, but the foil can flake away around the edges, and sometimes space can form between the diamond and the foil, leading to discoloration. Nowadays, tinfoil is not considered a particularly elegant solution for coloring gemstones. Instead, surface coatings similar to those you find on camera lenses may be used. Interestingly enough, these coatings can be used to make a diamond colored or colorless. The right colors of coating paired up can cancel out other colors present naturally in a diamond so that it appears white. This process was invented in 1999 by General Electric. This is another technique which can be used either to whiten diamonds or color them. Originally, it was introduced to whiten diamonds, but that same year, a manufacturer called Novatek accidentally discovered they could use HPHT to change the color of diamonds. Today, it is one of the most commonly applied treatments to alter diamond hues. There is nothing wrong with any of these techniques when they are disclosed to the buyer. There are however fraudulent manufacturers out there that lie to customers about diamond color enhancements, and try to pass off lab-colored diamonds as natural ones. They trick customers into paying much higher amounts than their purchases are worth. This is especially problematic with certain hues like green, as you might expect from the story about the Dresden Green Diamond. Some sellers, such as Leibish, specialize in selling nothing but naturally colored diamonds. Companies like these will always be happy to tell you about the origin and history of a diamond. A “near colorless white” diamond might actually be a faint yellow or brown fancy diamond. The color becomes significantly pronounced at the “fancy” level. The only diamonds with darker colors are the “fancy deep” ones at the far end of the color spectrum. What causes colored diamonds to form in nature? While some diamonds (like the Dresden Green Diamond discussed earlier) are naturally irradiated, most derive their color from impurities in the stone. Brown diamonds: These diamonds derive their hue either from the presence of nitrogen or from structural defects in their lattices. Many people have a negative mental association with these diamonds, so they are sometimes rebranded as “cognac” or “champagne” colored. Most are mined in Australia, Siberia, and Africa. Grey diamonds: These diamonds may contain trace elements of boron, or they may simply be less saturated black diamonds. Some black diamonds may have grey patches (more on that below). 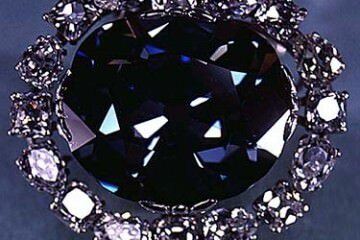 Black diamonds: These diamonds often contain inclusions of graphite and iron. Note that these are not trace elements worked into the crystal structure (lattice), but simply inclusions. Black diamonds, unlike other colors of diamonds, are not transparent. They are almost always opaque. As a result, they do not sparkle the same way that other diamonds do. Black diamonds are particularly fragile because of the inclusions they contain, which makes them a challenge to cut. For that reason, the majority are used in industry, and not for jewelry. Many black diamonds are also enhanced, since in nature, they may contain a combination of white, grey, and black patches. Yellow: Yellow diamonds are some of the most common diamonds you will find. The majority are not particularly vivid however, and like brown diamonds, are usually considered flawed versions of “colorless” diamonds. 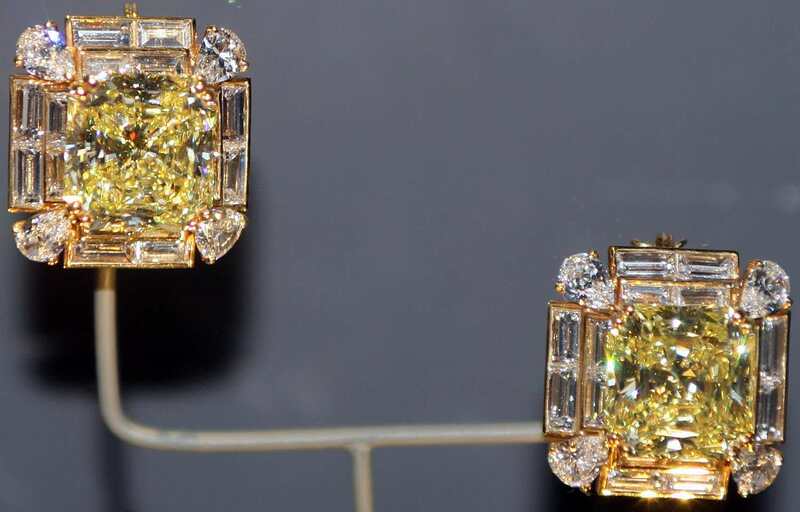 Vivid yellow diamonds are considered highly desirable, however, and are usually mined in South Africa. The yellow color comes from nitrogen inclusions. Thanks to an atomic similarity between carbon and nitrogen, it is a simple and common that nitrogen replaces carbon during the diamond formation process. This is why so many diamonds are yellowish. Purple: Scientists still are not entirely certain what causes diamonds to form with a purple hue. It may be the presence of hydrogen impurities, but it may also be the result of deformation while the diamonds are being transported through the layers of the earth’s crust. Either way, purple diamonds are quite rare. They generally are mined in Australia, but may also be found in Russia, Canada, the Amazon rainforest, and several other locations. Most purple diamonds are only faint in color. Scientists can generally spot enhanced stones, because their coloration is too uniform. In the natural stones, it tends to be distributed along the deformation lamellae. Orange: You might think that orange diamonds would be common, being somewhere between yellow and brown in color, but this is not the case at all. Orange diamonds are quite rare, and those which are deep in color display a vivid, fiery hue. The color may come from nitrogen, just as it does in yellow diamonds, but researchers are not sure why orange diamonds are so much less common than yellow ones. Green: Diamonds like the Dresden Green are incredibly rare in nature. Because they are almost impossible to tell apart from enhanced green diamonds, many cutters as a rule leave a natural untouched line along the girdle of the stone. This has no impact on clarity, and helps to distinguish the diamond as a natural one. It is estimated that fewer than ten green diamonds appear on the gemstone market every year. Color typically comes from natural irradiation, as with the Dresden Green, but may also come from trace amounts of nickel. Blue: Blue diamonds are particularly prized, not only because they are beautiful to behold, but because they tend to be associated with royalty. There are a few well-known blue diamonds with natural coloration, but the most famous example is certainly the notorious deep blue Hope Diamond, weighing 45.52 carats. 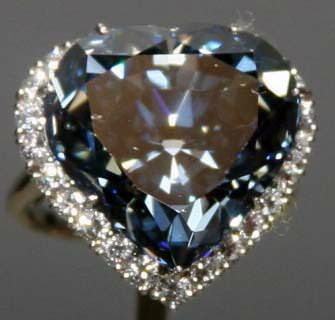 Blue diamonds can fetch a very high price. The Wittelsbach Graff diamond sold in 2008 for $24.3 million. Blue diamonds typically have low levels of nitrogen and contain boron impurities. Some however derive their color from high concentrations of hydrogen or from the presence of nickel. The most famous blue diamond mine is in Cullinan, Pretoria, South Africa. Pink: Pink diamonds are some of the rarest on the planet. You might think that these are simply pale red diamonds, but some contain very vivid and bold hues. 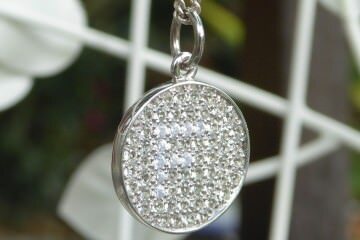 These diamonds are distinctive enough they certain deserve their own classification. It is thought that pink diamonds derive their color through changes in the structure of their electrons. This process occurs as the gemstone travels to the earth’s surface. Pink diamonds have been found in Brazil, India, and Tanzania, but around 90% of them come from the Argyle mine in northwestern Australia. Red: The rarest natural fancy diamonds in the world are red ones. They are very seldom unearthed, and only from a few locations. It is believed that these diamonds assume their color the same way pink diamonds do, through electron structure changes as they move toward the earth’s surface. Red diamonds are not only the rarest diamonds in the world, but also the most expensive per carat. The Hancock Red sold in 1987 for around $880,000. 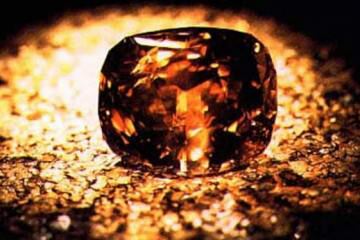 It was a small diamond, measuring 0.95 carats, so its price actually equates to $926,000 per carat. The Moussaieff Red sold in 2001 for around $8 million, which comes out to $1.6 million per carat. So what have we learned? Fancy diamonds are not always artificially colored or enhanced in a laboratory. Many colored diamonds actually were colored through natural processes, including irradiation, deformation during their journeys through the earth’s crust, and the development of impurities during their formation. Many colored diamonds are actually more valuable by far than colorless diamonds, for the simple reason that they are far more rare. The four Cs. Think about clarity, cut, carat, and color, as you would when shopping for any colorless diamond. Note however that colored diamonds often hide inclusions better than colorless diamonds—and some inclusions may contribute to color (as with black diamonds), so clarity may not be as important a consideration. Many cuts are beautiful for fancy diamonds, but you will discover radiants and cushions are very common since they do a great job reflecting the color. Intensity of the color. The more vivid the color of a diamond, the higher its worth. The hue itself. Rarer colors like red or green carry more value than common hues like yellow. As an example, a pale red diamond may be more valuable than a vivid yellow diamond. Whether the color is natural or artificial. A naturally colored vivid yellow diamond may actually be worth more than an artificially colored blue diamond, for instance. Ask questions when you are shopping for fancy diamonds. The more you can learn about a diamond’s origin and history, the more certain you can be that what you are getting is a natural diamond (if that is what you are shopping for). 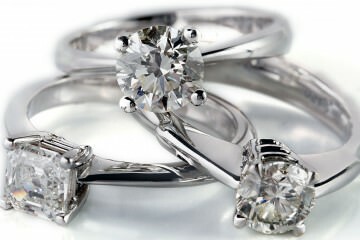 If you are buying an artificial diamond, you should be paying an artificial diamond price, not a natural diamond price. Always ask for a copy of the diamond certification. This should come from a third party like the GIA, not the shop you are purchasing the diamond from. It does take some time and research to make sure that you are getting a high-quality fancy diamond and a good deal for your money, but it is worth it. 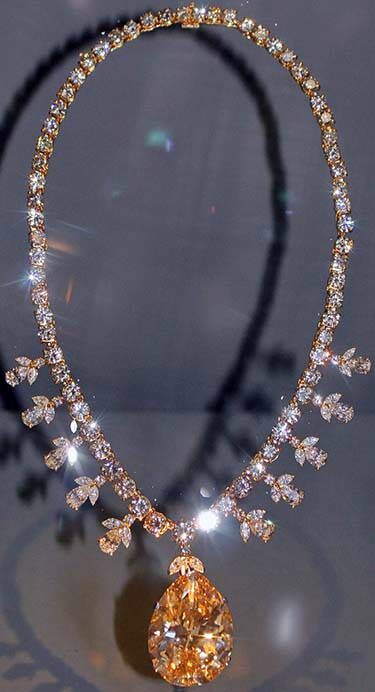 Fancy diamonds are captivating to behold. They make a spectacular gift for yourself or for someone you love!